TP-LINK’s Gigabit Easy Smart switch, TL-SG1016DE offers network monitoring for users to observe traffic behavior. With Port Mirroring, Loop Prevention and Cable Diagnostics features, TL-SG1016DE can identify and even locate connection problems on your business network. Moreover, administrators can designate the priority of the traffic based on Port Priority and 802.1P Priority, to ensure that voice and video are always clear, smooth and lag-free. Additionally, to improve security and network performance, TL-SG1016DE supports MTU VLAN, port-based VLAN and 802.1Q-based VLAN functions. 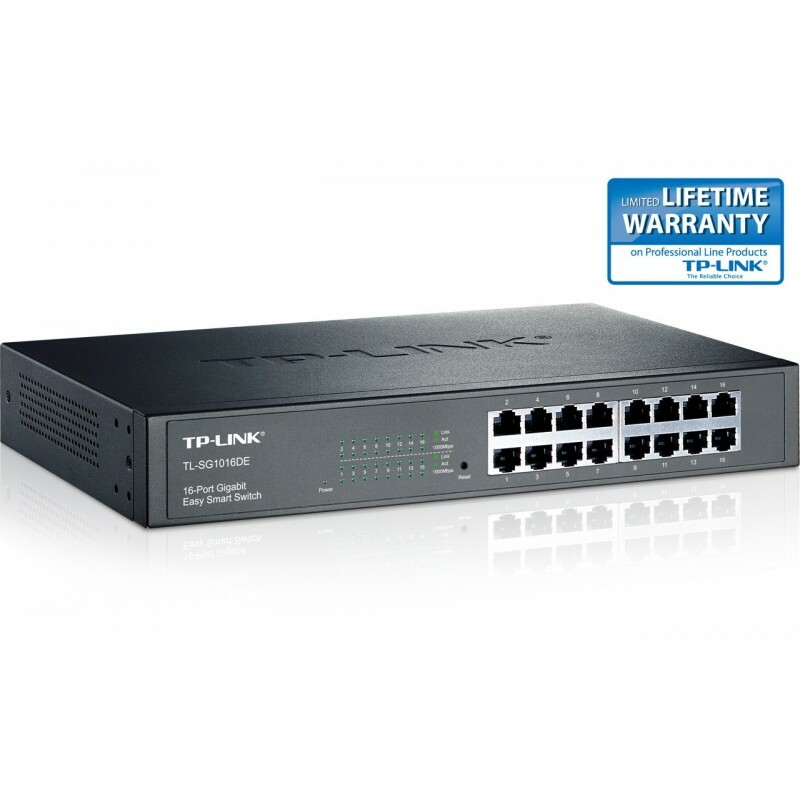 TL-SG1016DE is an upgrade from the plug-and-play Unmanaged Switch, delivering great value while empowering your network and similarly delivering great value to the end user. You now have the choice to go green when upgrading to a gigabit network! This new generation of TL-SG1016DE 16-Port Gigabit Easy Smart Switch features the latest energy-efficient technologies that can greatly expand your network’s capacity with much less power. It automatically adjusts power consumption according to the link status and cable length to limit the carbon footprint of your network.